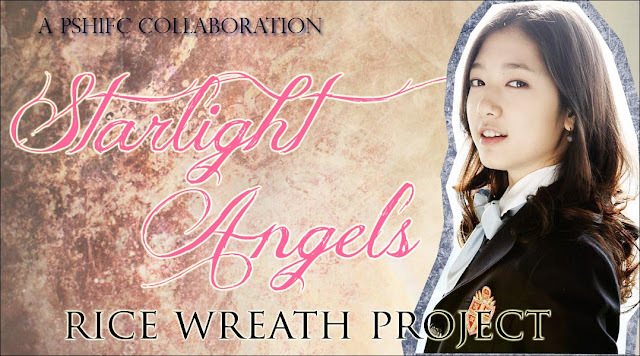 In cooperation with Park Shin Hye's Starlight Angel Fanclub in Korea, Park Shin Hye International Fanclub is participating in the Rice Wreath's Project along with other Park Shin Hye fanclubs from around the world. We will be asking Shin Hye fans yet again to help us in this good cause. We will be collecting donation until September 24th. Any amount is appreciated. The money will be used to by packs of rice to be displayed during the "Heirs" press conference. What is significant and important and follows our beliefs of helping the community is that all rice wreaths will be donated to Korean Food For the Hungry International, an organization we have donated to before (Tohoku Earthquake Relief) and Shin Hye was a part of (Ghana visit). We highly encourage everyone to participate and thank everyone for your continual support and love of our lovely Angel. You can donate via PayPal. If you wish to donate via another mean, please email us at shinhyeorg@gmail.com. We have admins in the US, Hong Kong, Philippines, and Malaysia that can assist you.